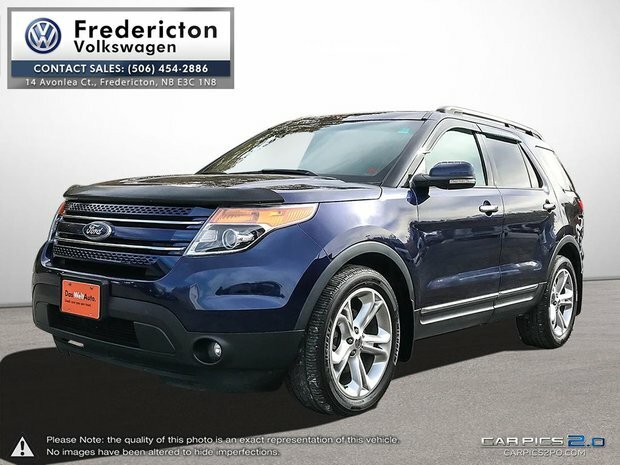 LOCAL TRADE | CLEAN CARFAX | YOU WILL NOT FIND ONE CHEAPER IN CANADA | This Explorer was traded into Fredericton Volkswagen and is priced the cheapest within 1500 kilometres from our location. 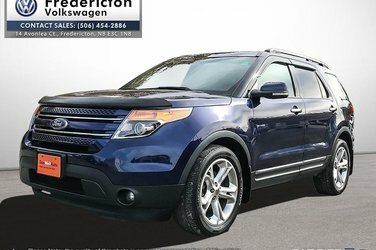 It is the Limited trim level and comes loaded with options such as: multi-function steering wheel with Bluetooth integration and cruise control setting, automatic headlights, 3-way memory heated leather seats, tow package, power lift gate, dual climate control, satelite radio, AUX x2, navigation, dual sunroofs, push button start, multiple terrain settings, back-up camera and so much more. Financing available. Give us a call (506-454-2886) drop by, or visit our website to book a test drive. www.frederictonvw.com. Ask about our "OUT OF TOWN BUYER'S PROGRAM".